I actually found out quite a bit about your mother’s house at 131 Garden Ave. N. It was actually built (and probably designed) by George W. Custer, a prominent Renton builder. 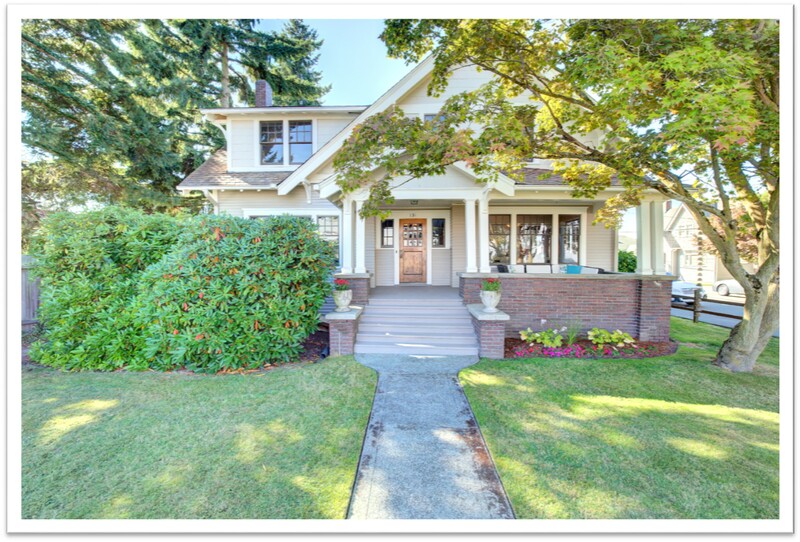 He is well-known here for his Craftsmen-style houses—you can see them all around North Renton. Albert N. Fairchild, the owner of Renton Lumber Co., contracted with Custer for the house, and Sturman H. McDaniel was the foreman on the project. According to Custer’s ledgers in our collection, McDaniel worked for Custer from September 1912 through February 1918, at which point he disappears from the historical record. (His wife Audria is widowed and living with their two children in Los Angeles by 1930.) The Fairchilds lived in the house until about 1930, at which point your father purchased it. I have attached one of our newsletter articles on Custer, as well as a couple newspaper articles from 1917 about the construction of your house. We also have a couple photos from 1928, which I have attached. And there’s a page in the Custer ledger for 1917 that shows McDaniel as the foreman on the project. I hope this helps—I’m not sure there’s much more to find. McDaniel may have joined the military during WWI, although I don’t see a record of it, or he and his family moved elsewhere. Custer remained here building houses until his death in 1963.